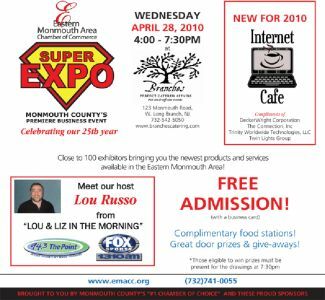 Join the Comfort Inn Middletown at theEastern Monmouth Area Chamber of Commerce Super Expo on Wednesday, April 28, 2010 at Branches Catering in West Long Branch, New Jersey. We are a proud sponsor of this event and look forward to meeting you there. The Expo is open to the public free of charge with a business card from 4:00pm to 7:30pm. 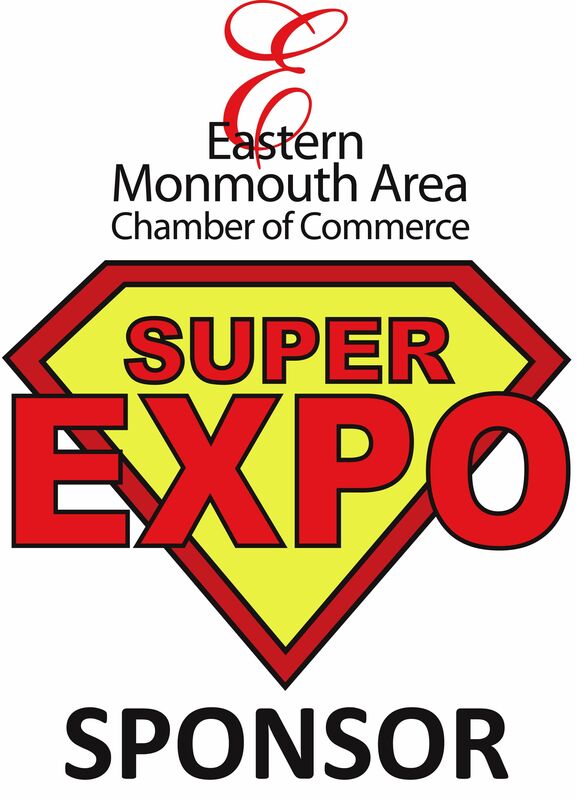 There will be close to 100 exhibitors bringing you the newest products and services in the Eastern Monmouth Area. 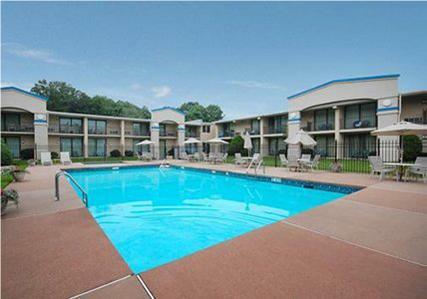 There will be complimentary food stations and great prizes and giveaways. The Grand Prize is an XBOX with Game Bundle courtesy of Trinity Worldwide Technologies. You must be present to win. The host for the evening will be Lou Russo from “Lou & Liz in the Morning” from 94.3 The Point. To view a copy of the flyer click here. For more information, visit the EMACC Website.